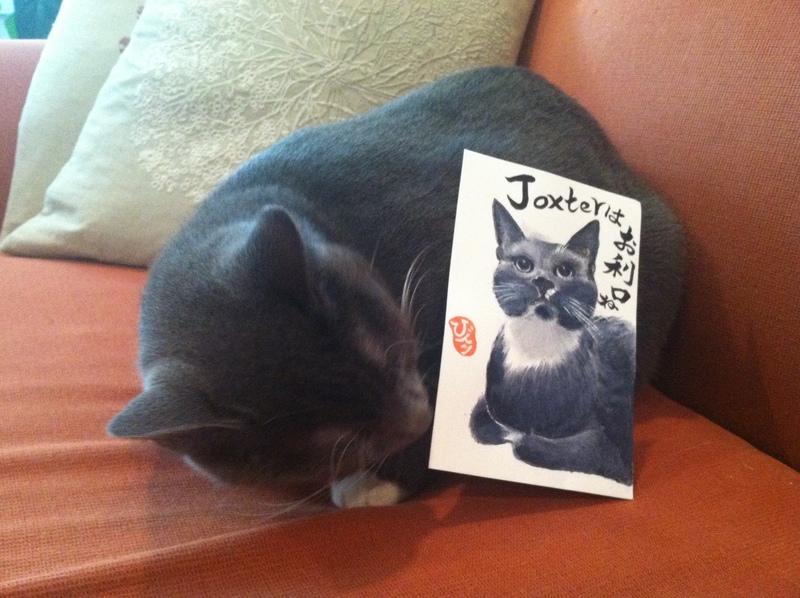 This was a grand surprise, and privilege, to get a portrait of my cat Joxter done etegami-style by Hideko. 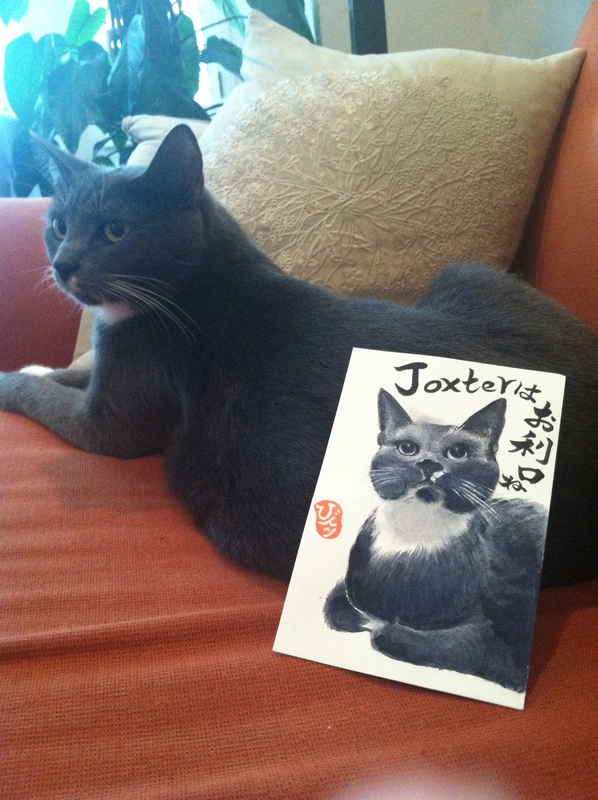 As you may recall a couple weeks ago, I received an elegant flower etegami from Hideko and I posed it with my cat Joxter. Hideko is excellent at articulating very delicate flowers with sumi and watercolor, in a way that is very realistic, much more so than most people can do with the same tools. 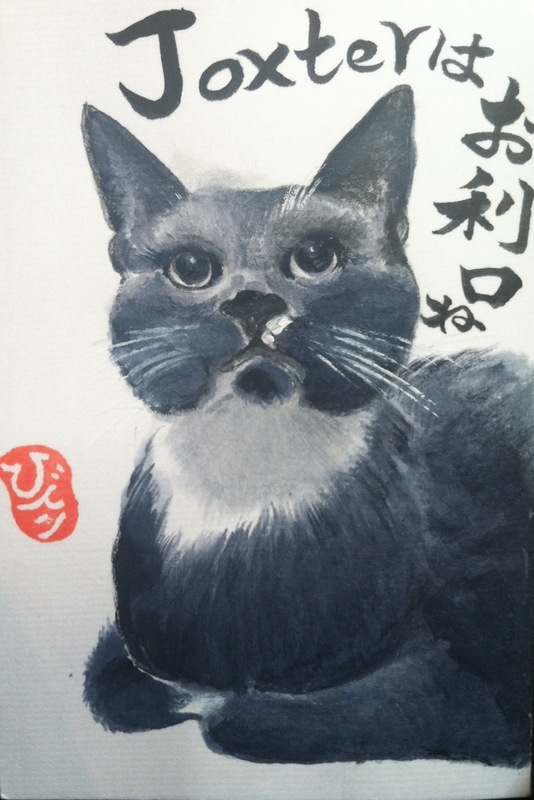 Hideko found my cat so cute she painted her right up and here is the result. She captured Joxter’s bemused gaze so exactly, better, I think, than a photograph. 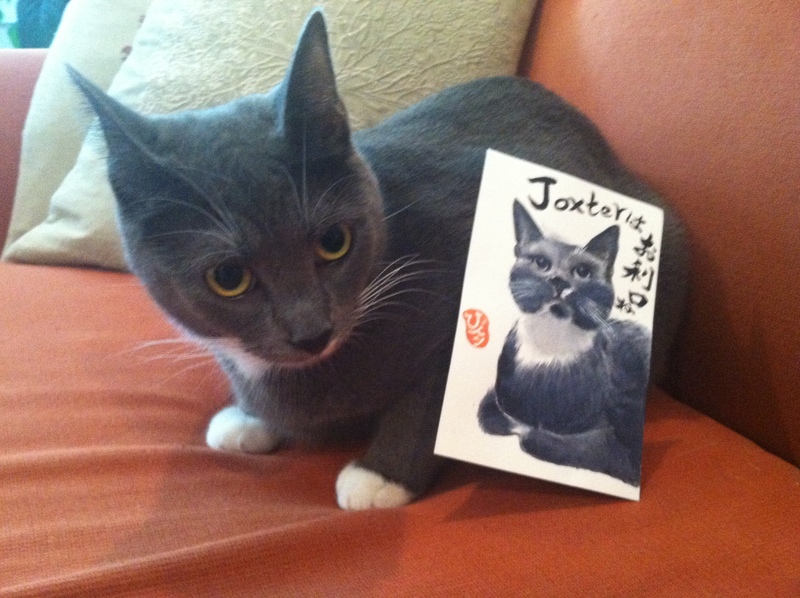 The words read, with translation help from Dosankodebbie, “Joxter is such a good little girl.” I tried to get Joxter to pose with her portrait in the same fashion. She did not cooperate. I know! She’s a master!